Emotions are often the first factor that comes into play when we make decisions. Logic then follows to help us validate our emotionally-driven choices. Emotion-based marketing and merchandising can be very effective when well-implemented in a store. Let’s take a look at some of the top emotions that drive spending and how retailers and brands can infuse them into their merchandising with retail technology. It turns out that having fun with merchandising can work in brands’ and retailers’ favor as happiness is the emotion most likely to encourage shoppers to spend. To capitalize on this, infuse merchandising campaigns with positivity. Be it celebratory, funny or inspirational, brands should find a positive angle that connects with target audiences and reflect it in their merchandising. For example, try playing with color to evoke emotions from shoppers – warm colors like orange often denote positivity. For ambitious merchandisers, more advanced techniques like color-blocking can create truly memorable displays. Color-based merchandising techniques make a strong visual statement – and when they aren’t expertly executed and closely monitored for ongoing quality, they quickly fall flat. Draw on merchandising software to ensure field merchandisers set up displays correctly, and assign display checks often to ensure busy shopping days don’t leave them picked over or disorganized. Not a colorful brand? There are plenty of other ways to get customers smiling, from signage to retail bags and other visual merchandising techniques. Shutterstock lists portraits highest on its list of images that evoke a positive response. Try including photos of real people in merchandising plans – Dove's Real Beauty campaign, for example, ties women’s portraits into body positivity campaigns to generate deep consumer-brand connections. Not far down the list of images that evoke happiness? Animals. As anyone using social media may have been able to guess, animals are hard-hitting favorites when it comes to eliciting the warm fuzzies. And animal imagery isn’t just for pet stores and other animal-related companies; get creative to think of ways to incorporate animals into your brand’s imagery. An experiential marketing campaign that incorporates animals is sure to grab positive attention. A therapeutic or self-care brand, for example, could bring in therapy dogs for a day to help customers relax while they sample products. 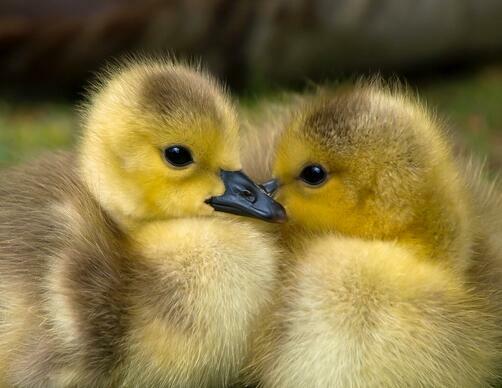 A clothing or bedding store that uses synthetic down could bring in live ducks to allow customers to compare materials (while driving home the brand’s dedication to animal welfare). Aside from facilitating display setup, merchandising software is critical to event implementation. Clearly delegate tasks and use an employee performance rating system to staff the event with five-star, engaging reps. Keep an eye out for late employees, long breaks or staff cutting out early with GPS-enabled merchandising applications to ensure the event remains fully staffed. A sense of belonging is a powerful emotion that drives spending. To draw on this emotion, develop distinct and consistent brand messaging, and implement unique displays that highlight those brand values. This helps create brand loyalty and a sense of community. Apple, for instance, does a great job of cultivating loyal followers with branding that is unmistakably theirs. From their genius bar to their white motif in retail stores, Apple has a strong presence and clear message – one their loyal followers are excited to share. 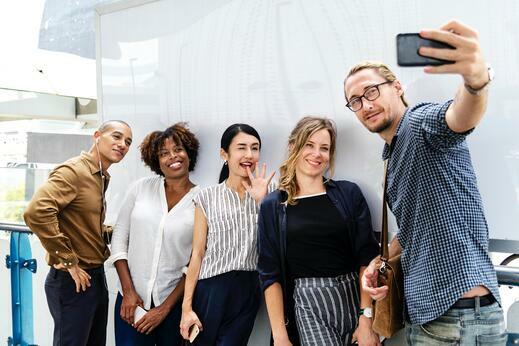 To start building community in stores, develop strong messaging and infuse it into merchandising efforts, keeping them consistent and on-point with retail technology. Additionally, ensure field reps deliver the right message to shoppers. Most stores should train employees to be friendly and welcome customers into the store and brand community. Ensure managers regularly rate employee performance to keep track of personable and high-performing staff. While most stores should aim for friendly field reps, note that in-store luxury marketing is more successful at cultivating consumers’ desire to belong when sales reps are aloof. Tip: Need a quick jumpstart on building community? Loyalty programs are a great way to make customers feel part of a brand family. Mention the program in stores and offer exclusive deals to members to encourage shoppers to join. Fear is a powerful emotion that drives spending, but not many retailers want to scare their customers off. Rather, FOMO (fear of missing out) is a strong emotion retailers can capitalize on. Present customers with offers, items or experiences that won’t last. Create a sense of urgency that encourages shoppers to act before they miss out. Pop-up stores are a great way to instill some shopper FOMO. They’re unique and limited-time, evoking a sense of urgency and excitement. When implementing a pop-up store, design a marketing campaign to get customers excited about its opening. One way to be sure word gets out? Go social. Make pop-up store merchandising social-friendly so customers share their experiences with friends (spreading the FOMO). Brand the event with a hashtag for extra exposure. Setting up a pop-up shop is no small task: leverage mobile merchandising tools to organize the event, monitor its progress and staff the most engaging employees. Tip: Pick an end date for the store and include it in promotional material to drive urgency. Whether making shoppers laugh or tugging on their heartstrings, keep a pulse on merchandising efforts with software that can report on campaign success. With a robust merchandising platform like Natural Insight, retailers and brands can check into what’s working and what isn’t to inspire future campaigns. Start clicking with customers by checking in on merchandising efforts. 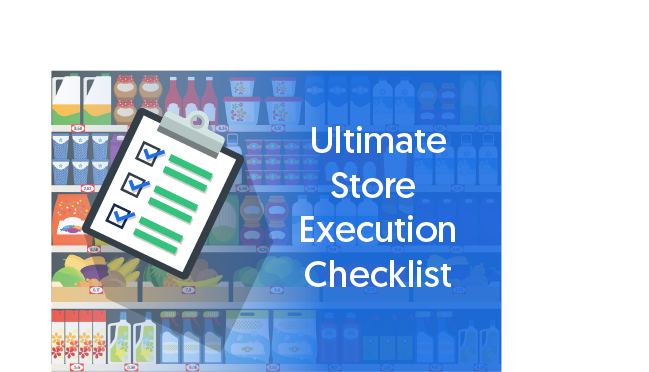 Download our retail execution checklist to get started.